Increase and maximize room storage space. Attach to the wall and save space on floors and countertops. 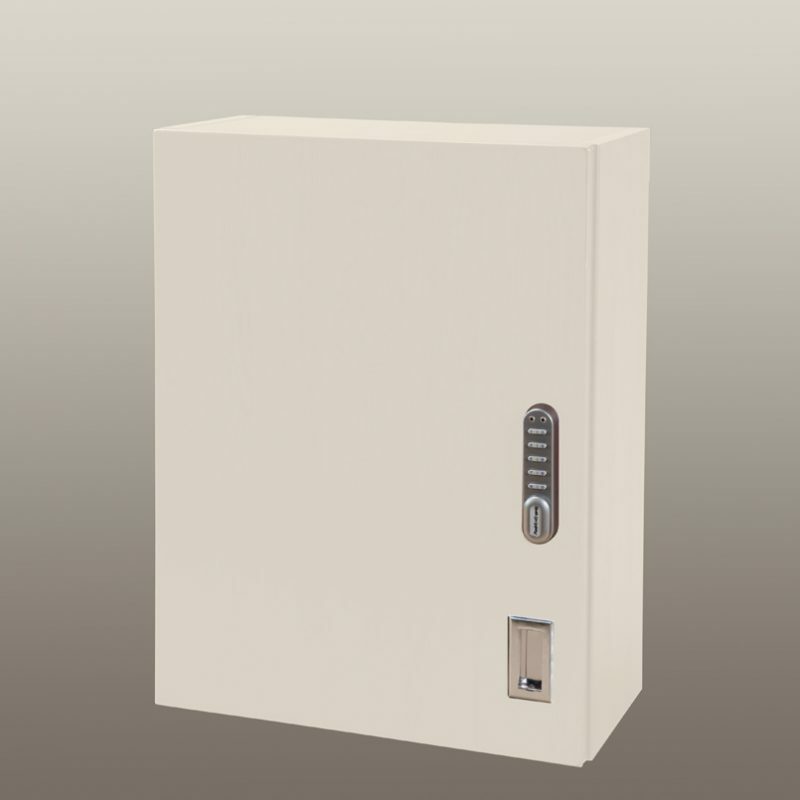 The cabinet extends only 8″ from the wall, making it ideal for use in tight spaces. Keyless entry door lock provides push-button access using a four-digit code. Fully-concealed, self-closing steel door hinges open wide to permit easy access. Two adjustable shelves accommodate various sizes of supplies. Plastic shelf clips are included. Quality construction! Melamine is laminated to particleboard, which provides a very hard, easy-to-clean, dent-resistant finish. Edges are PVC edge-banded for a finished appearance. Available in Beige, Cherry, Gray, Maple, Oak and White. Specify color when ordering.